Other Legal reviews by real, verified users. Find unbiased ratings on user satisfaction, features, and price based on the most reviews available anywhere. Wealth Docx provides legal document templates to help increasing efficiency and creating high-quality, accurate documents with ease. 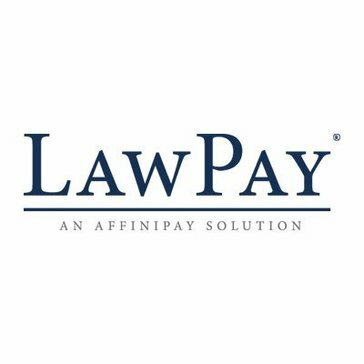 LawPay is a payment solution for attorneys looking to accept online credit card payments in their practice. A comprehensive legal drafting and review tool right within the programs you use every day to save time and be more productive. Expert, is an integrated, comprehensive solution that enables law firms to improve information visibility and access, boost productivity and billable hours, and increase profitability. Capabilities include time and billing, practice management, financial management, business intelligence, matter management, records management, professional productivity, portals, mobility applications, and more. LegalMatch connects clients with local attorneys. Peachtek Legal Solutions provides HotDocs sales and service, template development and MS Access database development. To alleviate the pain of struggling with legacy review systems, Eclipse SE has been purpose-built with the most cutting-edge features found in an in-house review platform, allowing law firms of any size to perform native file ingestion, document review, and full production effortlessly, offering a true all-in-one litigation platform. Lexis Diligence® helps compliance professionals develop a rigorous anti-corruption/anti-bribery compliance program, protect your company's reputation and avoid FCPA fines. MatrixE-Docs helps you cost-effectively manage content-and easily distribute content as appropriate to accelerate your workflow. SunGard Public Sector provides software solutions and consulting services that are designed to meet the specialized needs of city and county governments; public safety and justice agencies; not-for-profit organizations; and state and federal government. CompuLaw is the number one legal calendar, docket and matter management solution available today. CaseCracker was designed specifically for recording and managing investigative interviews. Investigators can review a large number of interviews in a user-friendly and intuitive manner. With the easiest-to-use interface on the market, CaseCracker offers recording solutions to meet a variety of requirements for federal, state and local law enforcement agencies. Bring the facts into focus. DocXtools helps law firms efficiently draft and predictably deliver documents that represent the quality image they want to portray by filling legal-specific functionality gaps in Microsoft Word and simplifying both the typical document drafting and problem-to-resolution workflows. eIMMIGRATIONAIR is more than just a Case Management software. 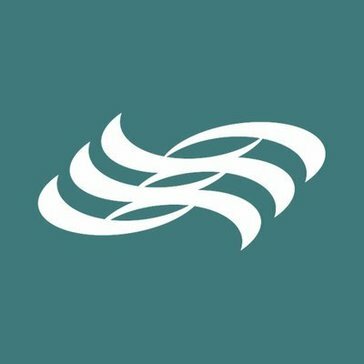 eIMMIGRATIONAIR offers Case Management as well as Contact Management, Process Management, Configuration Management, Reports Management, Questionnaire tracking, USCIS and Priority Times Tracking, E-Filing, E-Billing and many other modules to help you run your practice more efficiently and effectively. Legal practice guidance from leading practitioners on the topics, transactions & perspectives that matter most. PDF+ is a legal industry specific product made for lawyers and staff. Built with the most often used features needed in a law firm. Thomson Reuters Practice Point is a tools that integrated in one place, and uniquely organized by practice area and task it provides a better way to work for attorneys who advise, negotiate, and draft legal documents to ensure that business dealings comply with relevant statutes and regulations. RealLegal iBinder operates to allow on-demand access to transcripts, exhibits and synchronized video. Presentation software that can rapidly assemble documents, exhibits, transcripts, visuals and video for a compelling and seamless evidence presentation during hearings and trial. Acclaim Solaria helps report firm management and day-to-day operational needs. Laserform is the market leader for legal forms, providing a comprehensive library of forms with enhanced features, available in both desktop and intranet solutions. Laserform contains multiple efficiency and risk management functions including: PDF emailing facility, Context Sensitive Help, expandability, clause libraries & autotexting, complex calculations, Word text editing including legal numbering, automatic database population, template forms creation, easy searching and navigation, screen notes function, forms toolbar shortcuts and forms bundling. AgileLaw enables attorneys to manage the entire deposition process by replacing stacks of printed document exhibits with a tablet device. Conducting paperless depositions with AgileLaw saves attorneys time and money and lets them focus on serving their clients more effectively and efficiently. Best Client is a powerful CRM designed specifically for attorneys in the bankruptcy field. Most of our clients practice consumer bankruptcy as their primary area of expertise. BigHand Dictate is a law practice management software that helps busy legal professionals achieve more in less time. because it has developed a range of speech, workflow, document creation and process improvement solutions. CaseWORTH helps you efficiently and expertly manage the enormous quantity of financial information for personal injury, medical malpractice, social security, and worker's compensation cases. Nonpartisan insights and tools for those who lead, shape or follow public policy. CQ Engage is a powerful advocacy software allowing organizations to educate, engage, mobilize and grow your community of grassroots advocates at the local, state, or federal level. Flexible: Build an advocacy site or insert plugins on your own. Effective: Educate your supporters so they can create more powerful messages. Reach government by phone, email, Facebook, Twitter. Your advocates can comment on regulations, register to vote, sign petitions, and share personal stories. Time-saving: Sync your advocate data to your existing CRM or AMS. Deadlines.com, powered by Aderant, uses CompuLaw’s date calculation engine and extensive court rules library to protect small law firms and solo practitioners from the leading cause of malpractice claims – calendar-related errors. FullCase is designed specifically for county and district attorney offices, FullCase automates the repetitive tasks that slow your office down and gives you the technology tools you need to make the most of your existing resources. INSZoom, the world's largest immigration software company, helps law firms and corporations automate & manage immigration and compliance tasks efficiently. The power and content of InnovationQ are supplemented with data from the Institute of Electrical and Electronics Engineers the worlds largest technical professional organization and most trusted voice for engineering, computing and technology information. InnovationQ Plus includes all the features and benefits of InnovationQ, plus over 4,000,000 full text searchable documents, including more than 230,000 journal and conference papers. Online court deadlines for Outlook (all versions) and LexisNexis Firm Manager. Court Deadline Apps for Office 365, 2013, Windows 8. Legal Templates is a Free Online Legal Form & Document Creator. Explore 1,400 tax, accounting and estate-practice resources including U.S. tax treaties, Matthew Bender titles and Law360 news and analysis collection you can't find anywhere else. Primafact is Powerful Document Management for your Litigation Practice. Since 2000, Primafact has been providing time-pressed trial lawyers with a complete paperless office solution that maximizes their success. Instantly locate a fact, develop a position, streamline document review and share with experts. We know how lawyers work and how to make their lives easier and more productive; document management for litigators is all we do. RecoveryPro is a debt collection software with automatic online and local database synchronization. TermsFeed creates customized legal agreements and policies for your website or app based on business needs. AcclaimIP is a patent search and analytics software platform designed for IP leaders and executives. IP firms looking to improve their strategic capabilities and win more business also use AcclaimIP to collaborate with clients. With a core foundation of quality curated patent data, an intuitive user experience, and unmatched performance, AcclaimIP includes a powerful collection of search and analytics tools giving you the ability to research patent data faster, gain meaningful business insights, and inform decisions with greater speed and certainty. Aderant Expert MatterWorks is complete matter planning, pricing, and legal project management solution designed to address your clients’ demands for competitive pricing and predictability while ensuring effective standard or alternative fee arrangements that increase efficiency and maximize profitability. Hi there! Can I help you find the best Other Legal solutions?